26 size is currently out of stock. 27 size is currently out of stock. 31 size is currently out of stock. Children's Trachten Shoes 3399 in Dark Brown. These smart dark brown children's shoes have been designed to offer a unique style that looks great worn with jeans, lederhosen, trousers or shorts. 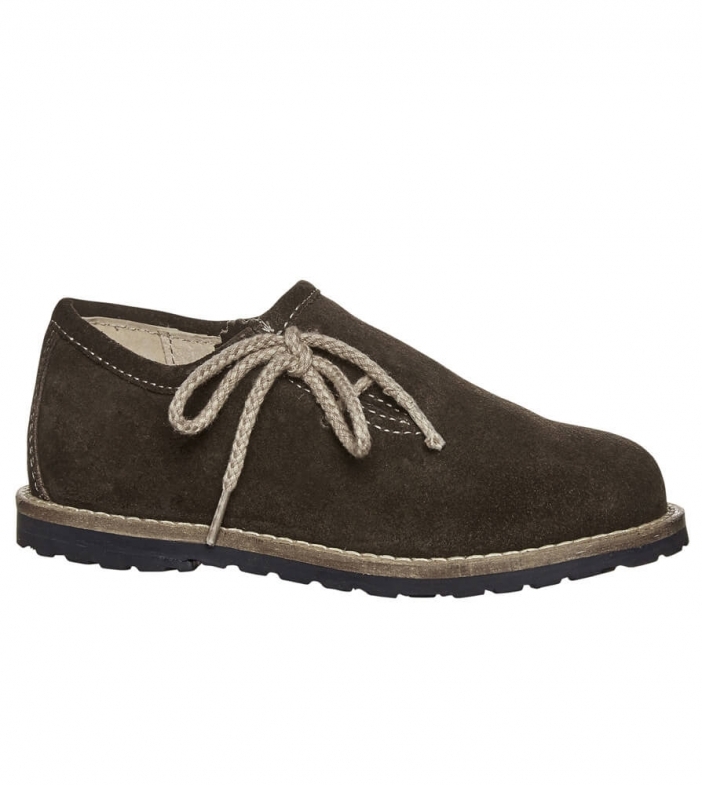 The neat stitching adds a nice contrast to the dark brown colour of these shoes and the soft suede-look material is both fashionable and comfortable for little feet to wear all day long. The laces tie up on the side for a distinctive edge that children will love. The upper material, inner lining and in-sole are all made from genuine leather and the sole is made from a durable synthetic material. Sehr schöner Schuh, sehr weiches Leder und gute Verarbeitung. Ich trage Größe 35 und die Schuhe in Größe 35 passen perfekt. Artikel wie beschrieben, Versand in Ordnung.